Currently, ASU Rugby has two sides competing at the collegiate level. The Junior Varsity and Varsity sides compete in the PAC Conference. All players are trained to compete at top levels through three training sessions a week and weightlifting regimented to meet performance standards. 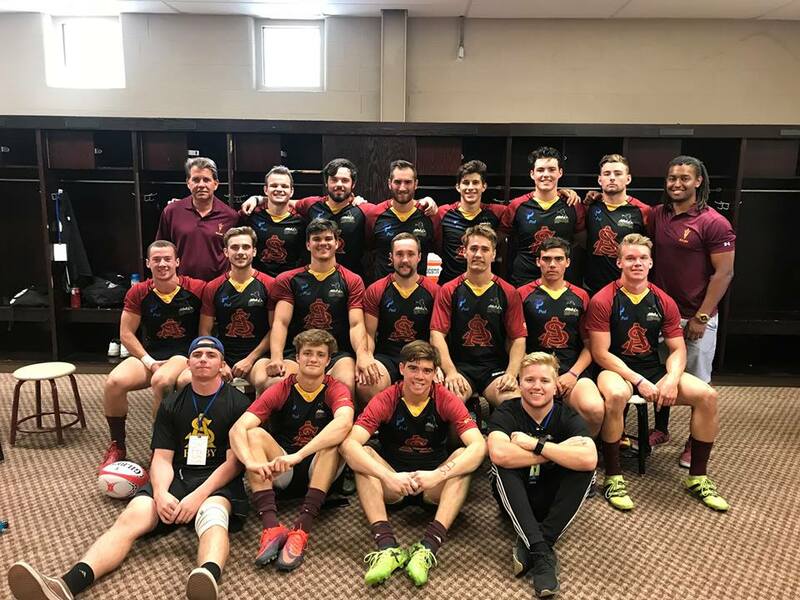 Rugby is a sport of passion and brotherhood, all team members of ASU Rugby are embraced by a rugby brotherhood that goes beyond the on-field battles, creating friendships and bonds that will last a lifetime. We pride ourselves not only as a competitive rugby team, but also as a student organization that provides its members with invaluable life experiences. We strive to provide our players with opportunities to develop as students and young professionals in a variety of ways. To name a few, members of our team are exposed to professional development workshops, leadership opportunities, and involvement in a variety of philanthropic activities. If you have any questions related to the University or the Rugby Program please get in touch with us.